Village Lofts Location: Village Lofts is a Minneapolis new construction development that offers big open concepts. It is located in the beautiful Saint Anthony Main neighborhood just over the Hennepin Ave bridge downtown Minneapolis. From its long hallways to tall ceilings, you will never feel boxed in. Village Lofts Features: Each unit in Village Lofts has the traditional loft features of exposed duct-work, expansive glass windows, tall ceilings and hardwood floors, but they also feature in-unit laundry facilities as well. 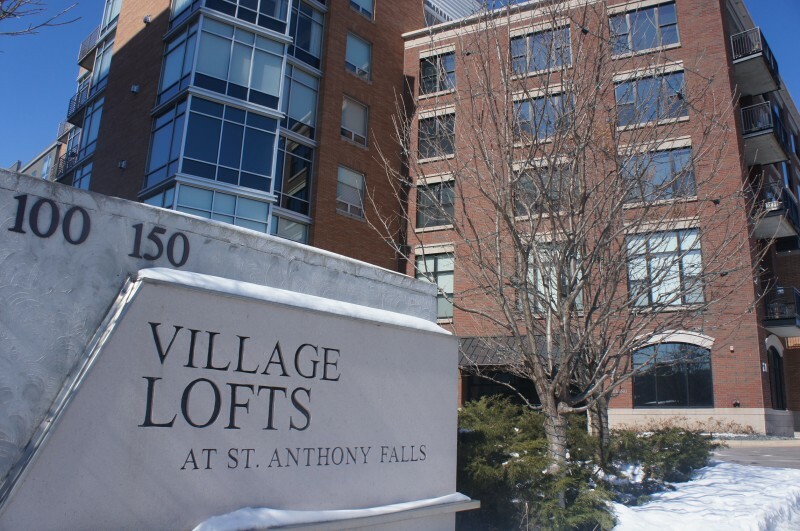 Village Lofts offers 10 guest parking spots inside a heated garage only for guests. Then they also have 4 first come first serve spaces on the surface in front of the entrances. The building has an on-site building manager. Resident's enjoy the close proximity to local restaurants and shopping. Local Metro bus line run to downtown right out front of the building. Some units owners have private rooftop cabanas that have beautiful downtown skyline views. There is a party room and a Gym for unit owner and renter to use. 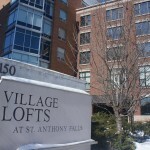 If you're interested in learning more about Village Lofts for Sale. Contact MPLS LIST today.